Each of these buildings have posted security on site during operating hours and entrance is not permitted without a pass to the building or an invitation from one of the businesses within — trust me, I tried. I think it’s fair to say I confused several doormen when declaring the only reason I wanted access to their building was to see the Starbucks inside. No doubt they thought I was crazy, but I wanted to be thorough. I especially wanted to see the Starbucks within the New York Stock Exchange, since it’s such an important part of this country’s economy. I even wrote to the owners of the building, but no luck. Part of me was — and still is — a little disappointed that there are four Starbucks in this city that I cannot easily pay a visit to. But I’ve sat on this for a while, and come to the conclusion that missing these four locations may be for the best. After all, only those who work there can access them. So even if they are wonderful and spacious, neither me nor anyone else could easily pay them a second visit. I guess it just goes to show you that in a city that thrives on caffeine, a coffee house like Starbucks can easily survive without opening its doors to the public at large. 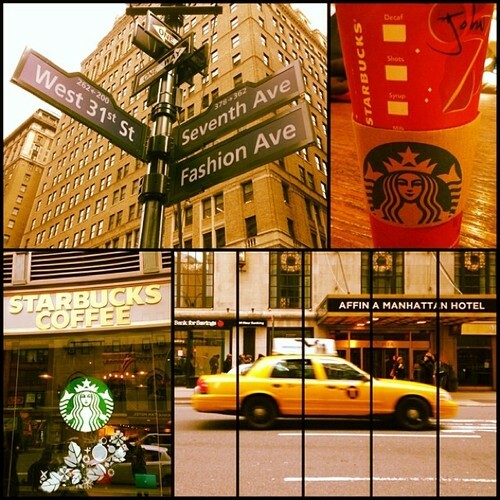 With four days to spare, this leaves just three Starbucks left for me to visit in Manhattan. Although I’m terribly excited to finish this adventure, part of me is also wondering: where did the year go? This time last week, it was snowing in New York City. Today it’s 70 degrees and I’m sitting at Starbucks drinking iced coffee. But never fear! Apparently this odd warm spell will be short lived, and we’ll all be forced to drink hot coffee by Christmas morning. Or maybe even some hot cocoa. 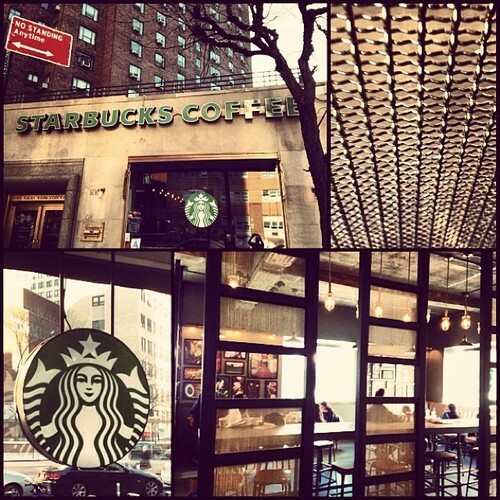 The Starbucks that I’m sitting at is an Upper West Side location that initially escaped my research. According to the baristas it underwent a remodel earlier this year, so there’s a chance it was closed down and unlisted for a while. 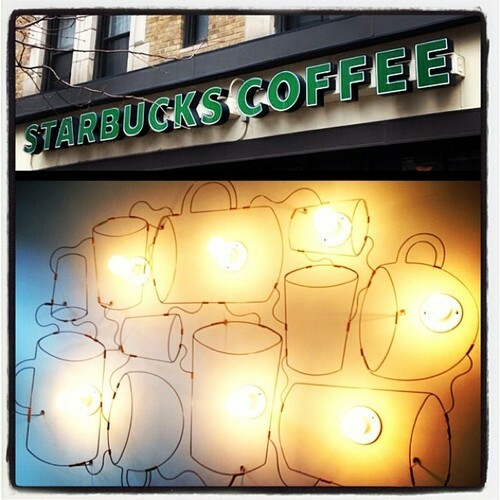 I can’t say for sure what it looked like before, but I can say with certainty that it is a well designed Starbucks now. The decor is definitely its best attribute. 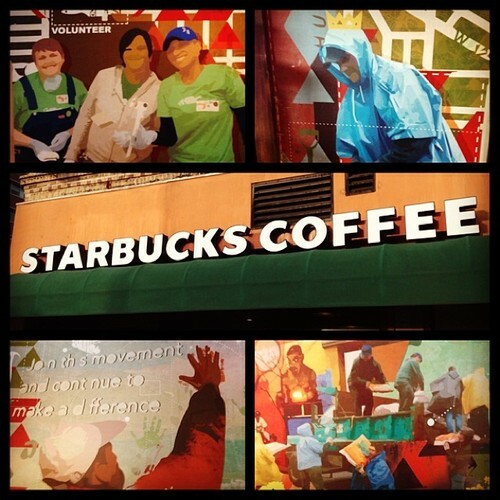 On the walls hang a few framed photographs that portray people in metro areas enjoying Starbucks in various fashions. 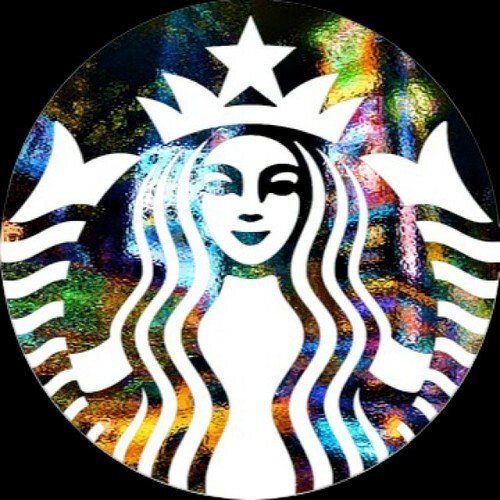 I’ve only ever seen these at one other Starbucks before, and they’re definitely more attractive than pictures of coffee beans and the roasting process. There’s also some pretty nifty looking lighting throughout. Above you can see the lighting ornament that hangs directly above the milk cart. Apart from the decor, this Starbucks is average sized; it has a good amount of seating, one restroom, a consistently crowded lobby and a location that makes it convenient for a quick pick-me-up while Christmas shopping. Speaking of — that’s my mission for the rest of the day. Wish me luck! Nearly a year into this blog and still I’m discovering new and unique New York City neighborhoods. 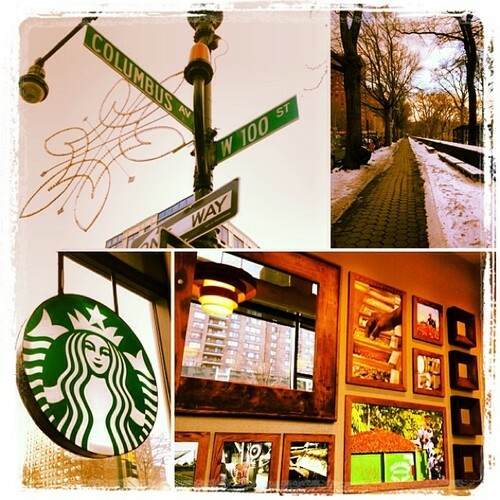 Today, I’m sitting at a Starbucks in Battery Park City in Lower Manhattan. Battery Park City is just west of the Financial District and the World Trade Center. In fact, it’s the only neighborhood I’ve been to that is actually west of the west of the West Side Highway. There’s no subways into this neighborhood, but there is an elevated skywalk that crosses the highway so residents and visitors can easily pass between here and FiDi. Although Battery Park City is both business and residential, it seems to cater mostly to the business crowd. 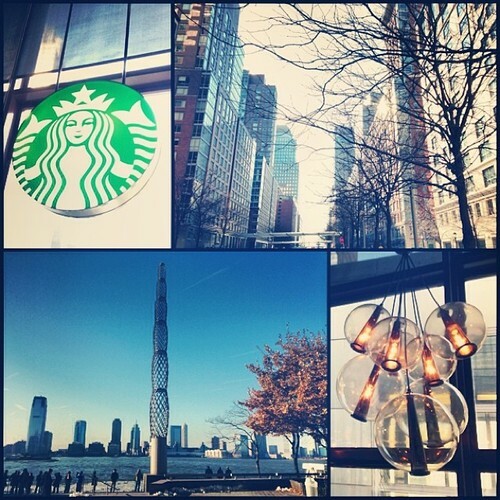 In fact, this Starbucks is inside the lobby of a gigantic building complex called the World Financial Center, which appears to be part office building, part mall. There’s at least four independent buildings making up WFC, and they’re all interconnected and stretch across the entire neighborhood. The Starbucks is in the main building of WFC and literally overlooks the West Side Highway — or West Street as it is called in this neighborhood. 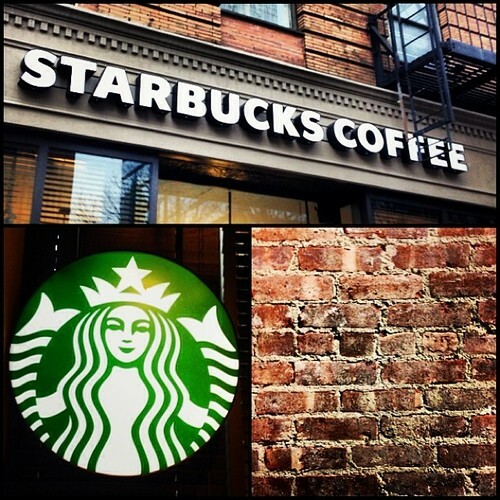 So, yes — this Starbucks is in an office building, but don’t underestimate it. It has its very own entrance, design, and decor. It’s no simple coffee cart. It’s a decent size and offers plenty of seating. In fact, I thought the Starbucks was small at first, only to discover that beyond the barista bar is an entirely separate — and slightly hidden — seating area. The only thing it lacks is its very own restroom for guests. 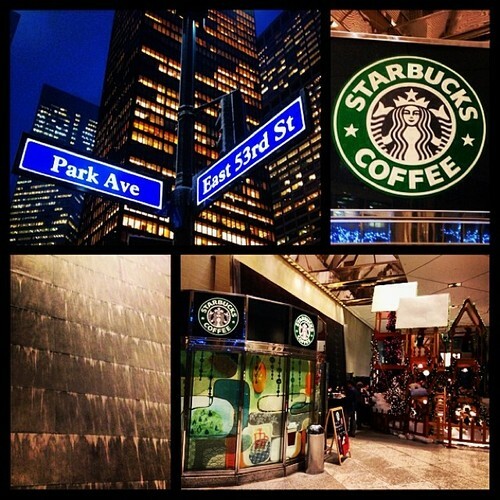 According to the Starbucks App there are two Starbucks located here in Battery Park City. This one and one in Four World Financial Center. But this entire complex is going through some major renovations and actually changing names to be called Brookfield Place come 2014. I went hunting for this other elusive Starbucks but could not find it. I asked around and was told this is the only one in the area, so my guess is either this other Starbucks is not accessible to the public or closed during the renovations. 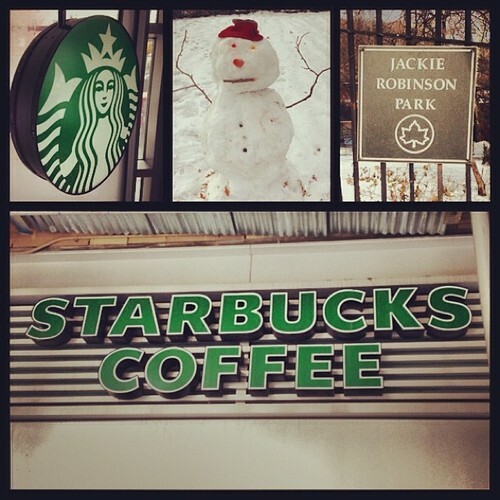 Which begs another question… What do the residents of Battery Park City do with only one Starbucks in their neighborhood?